While in Uganda we will visiting our three mission partners in Buziika (Canaankids.com); Pallisa (Pallisa Full Gospel Church & School); and Masese (Oasis for Hope Foundation Church & School). 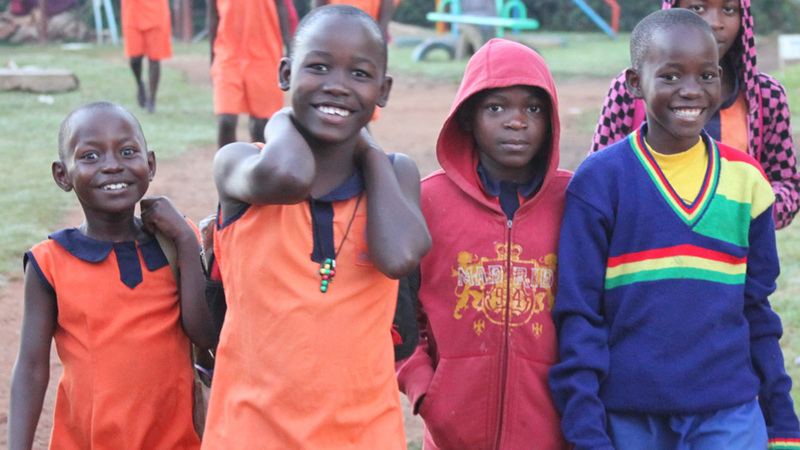 Our team will be staying right on the campus of Canaan Kids (aka Canaan Children’s Home) with Pastor Isaac Wagaba and his wife Rebecca and their staff and about 80 loveable, huggable orphans from babies to teens. Our accommodations are at Canaan’s private guesthouse that offers all the simple comforts of home and all our meals will be specially cooked just for us. We’re just saying, it has happen many times by the people that have gone on this trip that they have gained a couple of unwanted pounds before they return home. The team has access to the children all day and evening. You can even play or cuddle, and share stories & testimonies with the children till it’s their bedtime. Both the children and their staff make strong life lasting relationships with our teams. Our primary focus for the May 21 – June 1 trip will be medical care offering a medical clinic for those in the surrounding area. Anyone can join this team, however those with a medical background are particularly needed for this trip especially doctors, nurses, PA’s, pharmacists, physical therapists, etc. Anyone with a heart to serve is encouraged to come. to learn more about the trip and how God can use you to make a positive difference in Uganda.